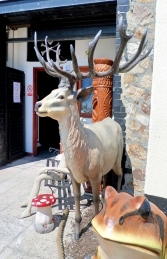 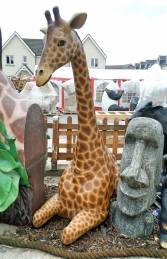 This is a wonderful model of a sitting Giraffe, it is ideal to use in a jungle or safari themed areas or even as something different for your garden. Our sitting Giraffe is just adorable and looks fantastic with our other Safari animals. 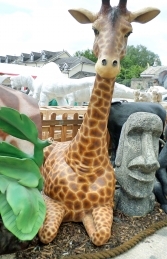 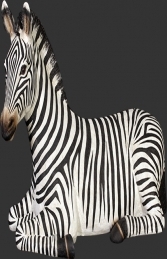 Maybe team this model up with our 18ft Giraffe (JR 140039).